Secrets can be fun. Surprise parties, presents, breakfast in bed. 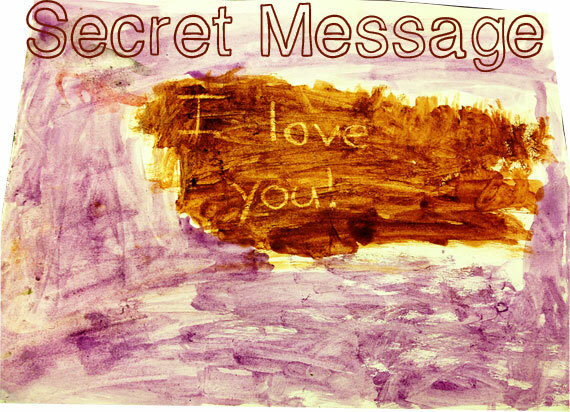 We decided to make each other secret messages! I wrote one for Maya and, well, she just drew things and decided they were secret! Simon just colored and painted. That's his style! 1. 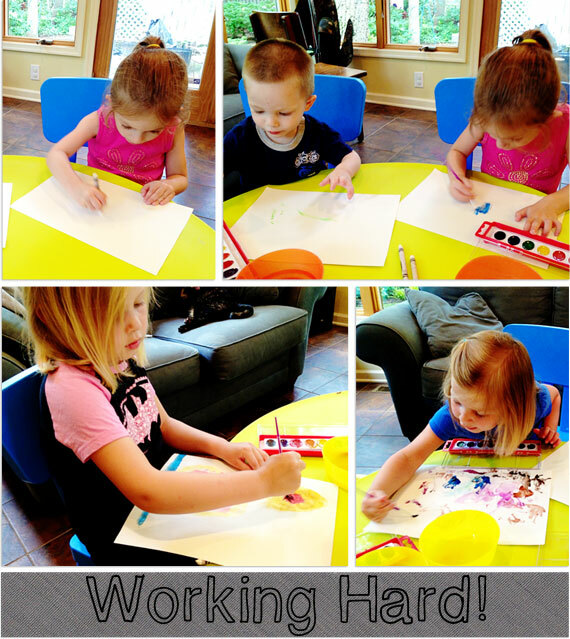 Color or draw a design of your choice on the water color paper with the white crayon. 2. Paint over the drawing with the watercolors. Watch as the paint repels the white crayon and reveals your secret message!